From a historical perspective, Canada’s men’s Olympic team has been rather dominant, compiling an impressive 99-27-6 record. One has to wonder how much better that overall record would be had professionals been allowed to play in the Olympics prior to 1998, but that is for another discussion entirely. 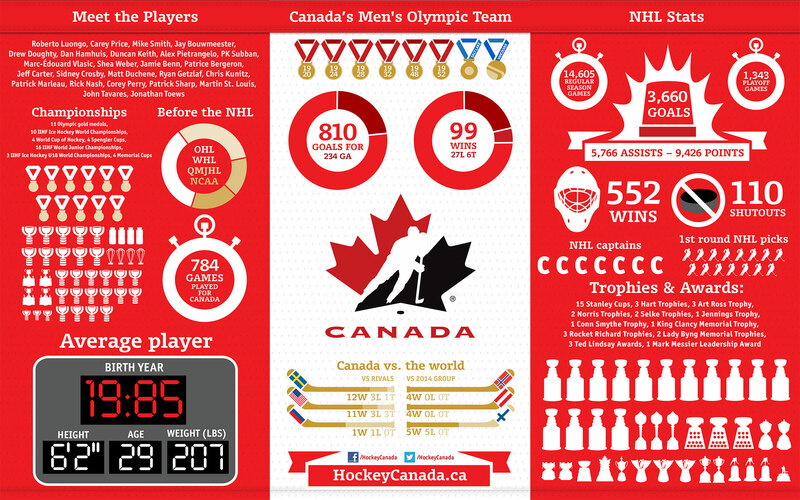 This infographic does show that the relentless Finnish national team has been a thorn in Canada’s side, as the two have an even record against each other in Olympic play, winning five games each. There’s no question that this was the best team Canada ever iced at the Olympics, but how does it compare to other historic Canadian teams from past World Cups and tournaments from the 70’s and 80’s?